In looking back on my previous blogs, it appears that the majority of them are about the trials in my life. I seldom write to express the gratitude that spills over from my heart. For instance, I never really write about the man in my life. I seem to keep that part of my life hidden. Maybe I’m afraid that if I shed light on that subject, it will suddenly go away. I still walk in fear on some days; the key word being “walk” as I am still moving, thank God. Jim Elliot said it best when he said that “God always gives His best to those who leave the choice with Him.” I finally am in a relationship that amazes and astounds me everyday! God promised me that He would surprise me with a love far more wonderful than any I could dream of. He promised and He fulfilled. 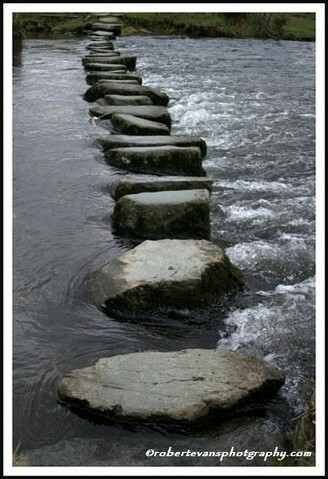 My past relationships were like tiny stepping stones the formulated the path that I am currently traveling. And the strange thing is, he is tiny parts of the others all wrapped up in something wonderful. So as you see, there are no regrets of my past; only thanks for what those relationships did for me. They set the standard of what I can live with and what I can live without. So today, I write to say “thanks” to the God who loves me and gave me His very best. My God heard my cries and listened to all the intricate details of the qualities that I was looking for and dreaming for in my partner. He brought me a man (in His perfect timing) who believes in God first and foremost, one who makes me laugh and tells me that I am beautiful, one who is driven yet compassionate, one who uplifts yet challenges me in the same breath. I consider myself to be one of the lucky ones. So no matter what your desires are, what promises from God that you are waiting on, remember this: “No eye has seen, no ear has perceived, no mind has conceived for what God has prepared for those who wait for Him.” Isaiah 64:4. Someday someone will come into your life and you will realize why it did not work out with the others.